The mad scientist has been spending many hours toiling and brewing up many concoctions and conducting experiments with Halloween coming very soon. However, the one thing that this mad scientist loves to create are Halloween snacks - namely a special dip for Wheat Thins. In case you weren't sure, I am the mad scientist. Bwahahhahahaa. I love Halloween. Any excuse to make Halloween themed food, stock up on Halloween candy, wear costumes, take my daughter trick or treating in her adorable costume, and horror movie marathons. I love that this Friday, I will be taking Emma to her school for Trunk-or-Treating and that leaves us at home for Halloween so we can hand out treats to the trick or treaters and we can watch Halloween movies and eat some fun Halloween snacks! 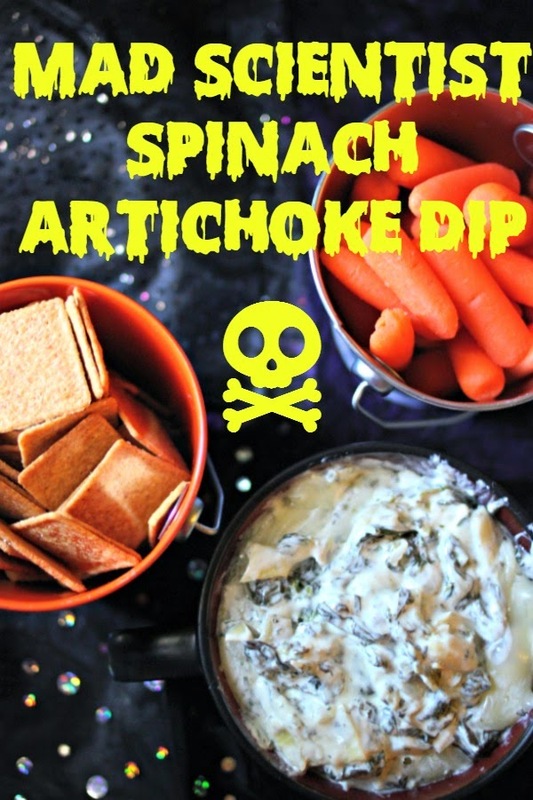 One of my favorites is spinach artichoke dip. 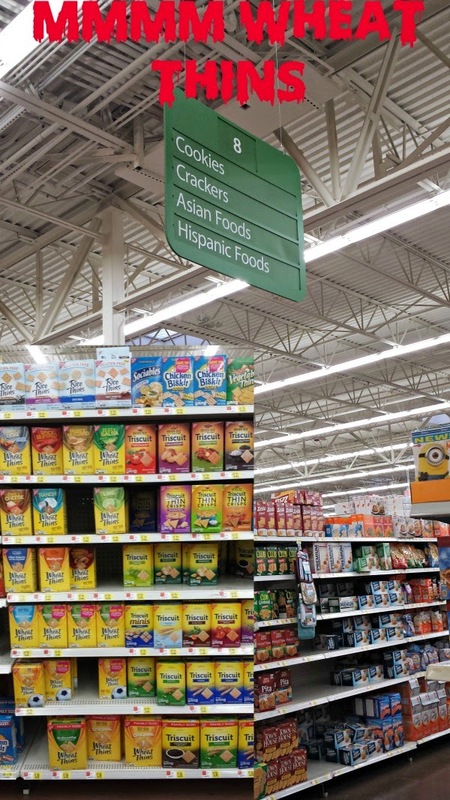 It pairs up deliciously with Wheat Thins and veggies. I love this recipe because first, it's easy and delicious BUT you can make it in the slow cooker! 1/2 c. shredded Parmesan cheese. salt and pepper to taste. Optional. 1. Mix cream cheese and half & half together in a large bowl until well blended. 2. 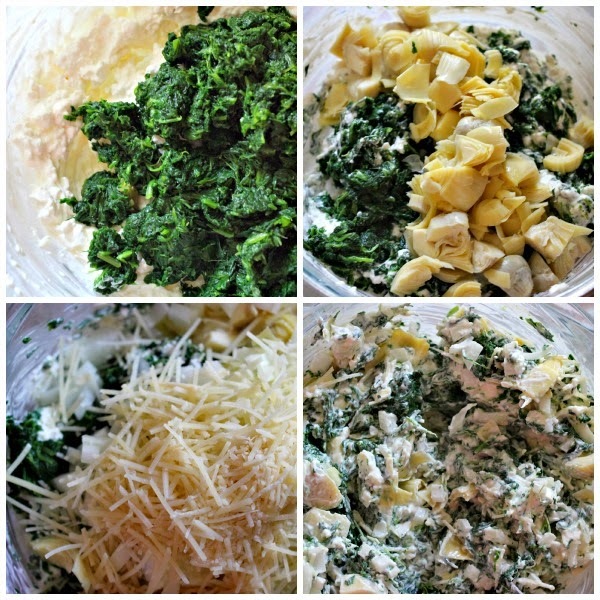 Add spinach, artichoke hearts, onion, garlic, parmesan, and salt & pepper and mix well. 3. Add to slow cooker and cover. 4. Cook on high for 1.5 hours (or less or more depending on your slow cooker). 5. Add Monterey Jack cheese, reduce to low and cover, just until cheese is all melted. 6. 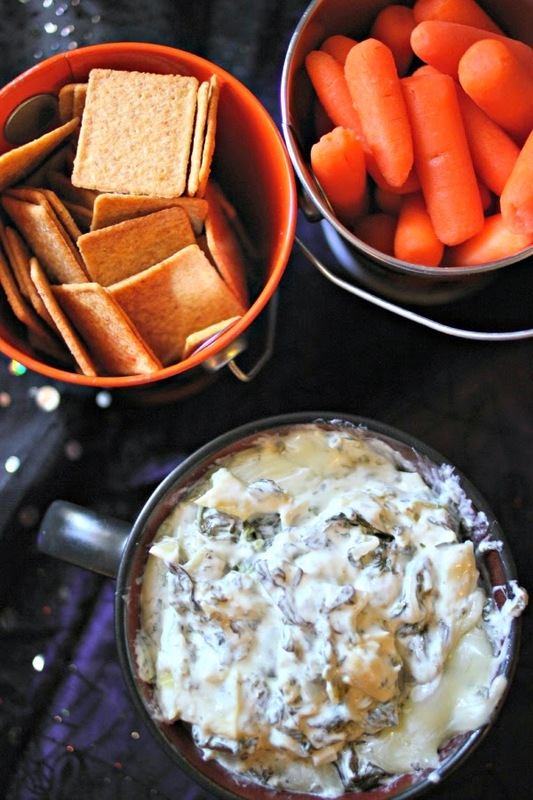 Serve with Wheat Thins and veggies. 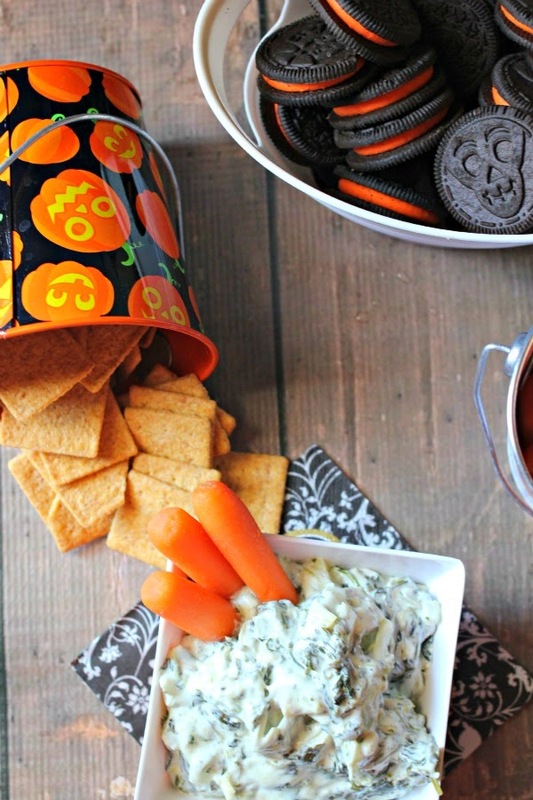 Halloween Oreos make the PERFECT dessert. 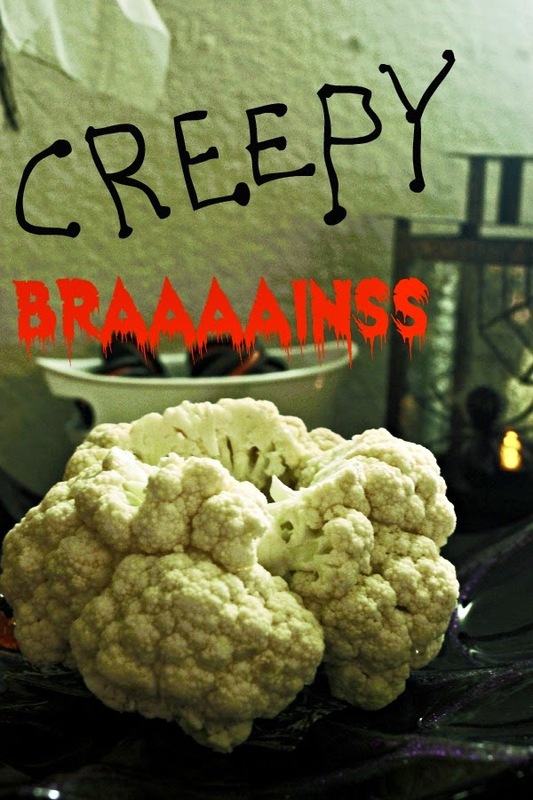 Speaking of veggies, doesn't cauliflower remind you brains? I was experimenting with ways to serve my bubbling cauldron of dip. 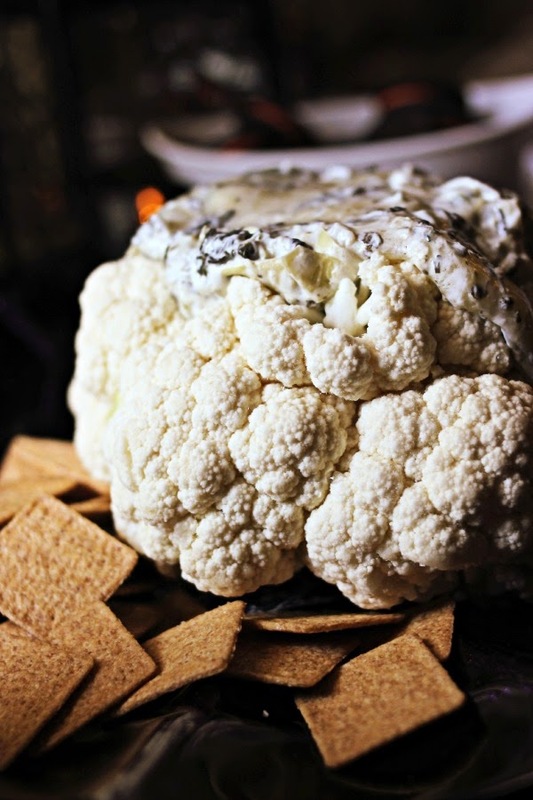 I gave the cauliflower a partial lobotomy and poured some of the dip into it and gave it an appearance of oozing cerebral spinal fluid from the brain of a zombie. 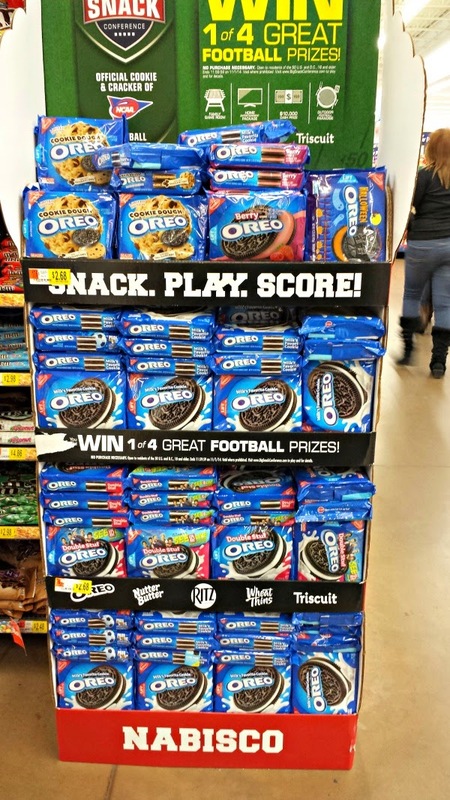 You can find Wheat Thins and the special edition Halloween Oreos at Walmart in the cookie/cracker aisle. 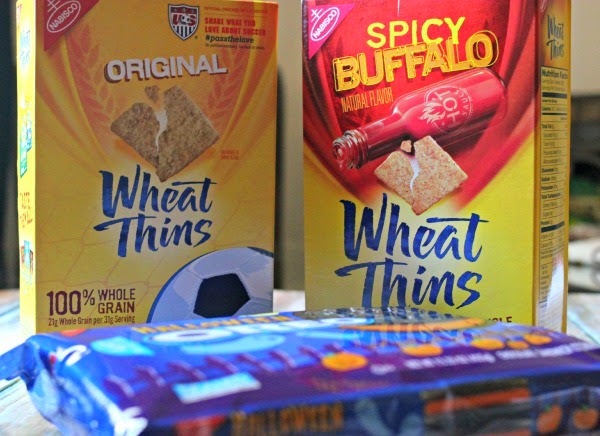 You can also follow Wheat Thins and Oreos on Facebook. What do you plan to make? What are your plans for Halloween night?